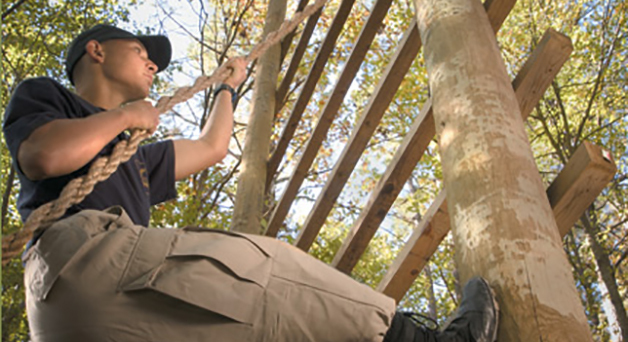 The Corporation for National and Community Service’s AmeriCorps National Civilian Community Corps (NCCC) and the Department of Defense's National Guard Youth ChalleNGe Program began their collaboration in 2009 as a way to assist one another with placement and leadership opportunities for disadvantaged and out-of-school youth serving in their programs. By providing these youth with transitional structures and supports, giving them a place to test and enhance their skills, and using their diversity of experiences to build peer-led and team-oriented environments, the collaboration has been able to achieve growing success and has been able to continue development through their best practices and lessons learned. Use appropriate language and sharing of information to establish new members’ buy-in and program growth. View additional resources and information about the collaboration.